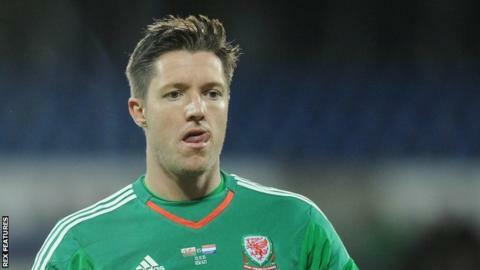 Goalkeeper Wayne Hennessey is "surprised" Wales are playing two warm-up games before Euro 2016. But he says it is good that manager Chris Coleman will use the games against Ukraine and Northern Ireland to "try out" ideas before the tournament. Coleman is "99% certain" Wales will also play Sweden before their first major tournament finals for 58 years. "We're quite surprised with two games, especially out in Ukraine," said Crystal Palace's Hennessey. "But obviously the gaffer has got something up his sleeve he wants to try out and, probably look at a few players. "So it's always good, those little warm-up games to go into a big tournament." Hennessey played on Saturday as Palace earned a 1-1 draw at Swansea. Wales host fellow qualifiers Northern Ireland on Thursday 24 March at Cardiff City Stadium. "They've done really well themselves so it's always good to play against good competition and they'll be a good team to play against," added Hennessey. They face Ukraine at Kiev's NSK Olympiyskiy Stadium four days later. Wales' Euro 2016 campaign begins against Slovakia in Bordeaux on 11 June in Group B where they are also paired with England and Russia.